The model 21-070 can be operated with little or no training. Turn it on, zero, probe for leaks: its that simple. As the instrument probe passes over the leak, a sample is drawn into the conductivity cell. When a leak is discovered a signal is registered on the LED bar graph. No messy soap solution, so system contamination. 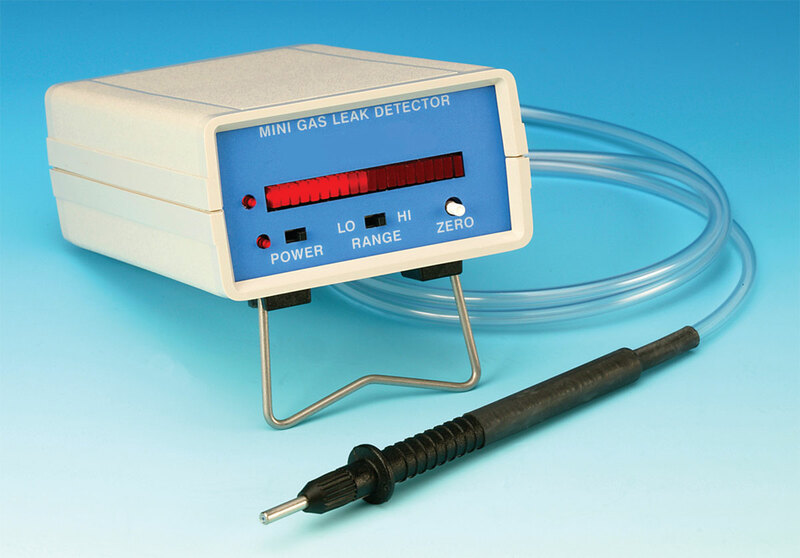 This leak detector in NOT designed to be used to determine leaks of combustible gases. It is designed to determine low level leaks of any gas having a different thermal conductivity than air. Utilizing this property it is, therefore, not specific to any gas or vapor. A combustible gas leak detector should be used for determination of combustible gas leaks in possible hazardous conditions.